Throughout this tutorial, we'll see how to install Java 8 and Android Studio on either Ubuntu 18.04. 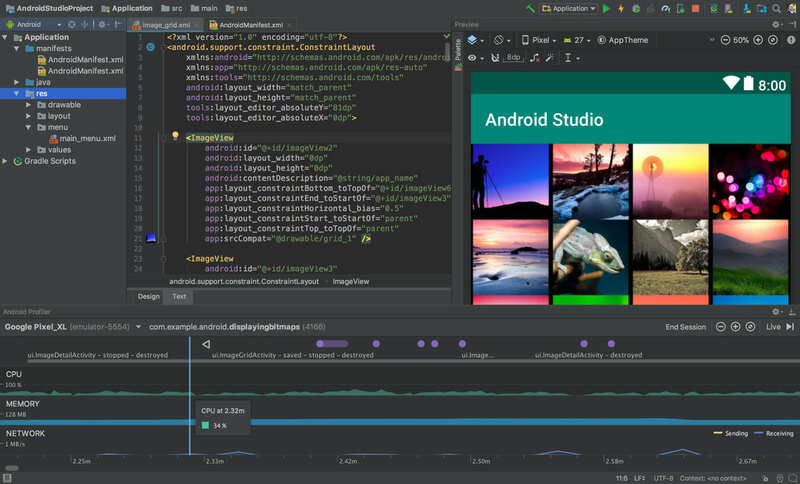 Android Studio by Google is the official IDE for building Android mobile applications so before you can do any Android mobile development you need to have a development machine ready with Java 8 and Android installed. Android Studio has the best and fastest tools for building apps for each type of Android devices. Intelligent code editor which helps developers completing code for Java, Kotlin and C/C++. Fast emulator for quickly running and testing Android applications. When installing these packages you will be prompted to accept the Oracle License agreement. You need to accept it for the installation to complete. You should get this message: *Oracle JDK 8 installed *. After installing Oracle Java, you need to setup the JAVA_HOME environment variable which should point to where Java is installed. You can then either re-open a new terminal or run source /etc/profile in your current terminal to activate the new environment variables. After installing Oracle Java and set it as the default in Ubuntu. You can now install Android Studio by either going to the official website and downloading the ZIP package for Linux 32bit or 64bit. Or install Android Studio from a PPA which is the preferred method that I'm going to show you in this tutorial. This will take some time to download Android Studio and install it. After installing Android Studio, you can access it from Unity Dash. In this tutorial, we've seen how to setup a development environment with Java 8 and Android Studio in Ubuntu 18.04 which are required for developing Android applications.